Sweets, sweets, sweets!!! I am in heaven right now with the sweets in my house because I have Enstrom's Dark Chocolate Almond Toffee to eat at my heart's content! I will be the happiest mother this Mother's Day as I sit back, relax and eat my Entsrom's Toffee! Enstrom Candies is the home of the World Famous Almond Toffee and other fine confections including chocolate assortments, truffle assortments and turtles. They also have gift boxes, gift baskets and custom message sleeves to help send that perfect gift to your mom this Mother's Day. 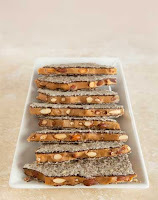 Their all-natural, World Famous Almond Toffee is crafted from a perfect blend…fresh California almonds, sweet cream butter and pure cane sugar, covered in a generous layer of rich dark chocolate and sprinkled with crushed almonds. I absolutely love their mix of ingredients! The toffee is crunchy but melts in your mouth. And the chocolate gives it that extra perfect mix of sweetness! I love that they offer a dark chocolate toffee since that is my favorite kind of chocolate! The almonds add an extra crunch also! If you are looking for a great Mother's Day present this year for your mother or special woman in your life that has a sweet tooth, then look no farther than Enstrom's Toffee! They have one of the best tasting toffee out there! Buy It: You can purchase the Dark Chocolate Almond Toffee starting at $19.95 for a 1 lb box on the Enstrom website. 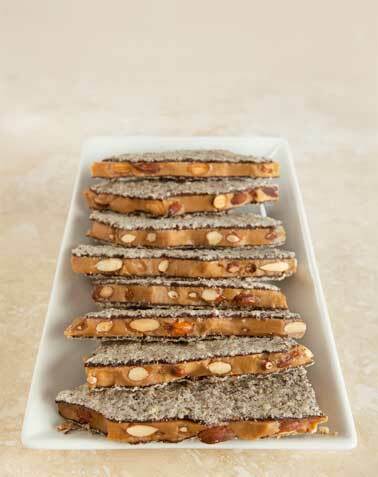 Win It: Enstrom Candies is generously offering (1) box of Almond Toffee to a lucky winner!